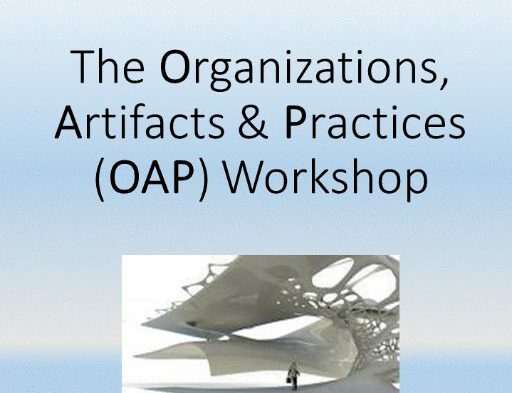 Organizations, Artifacts and Practices (OAP) workshop has been set up in 2011 at Université Paris-Dauphine (France). It is organized every year (in June or July). the 7th OAP will take place the 16th (3rd meeting of the Standing Group), 17th and 18th (workshop) June 2017 in Singapore at SMU and ESSEC Singapore. It will be about ‘Collaboration & Materiality’, the new spaces, places, material practices and processes related to innovation and economy. On this occasion, Pr Erwan Dianteill will present a Keynote entitled “The ontological turn in anthropology (and its critiques)”, on june 17th.